"little creatures with scary smiles, always trying to get alive and dying if they don´t become real" – these are ideas for adolfo serra. i love his colorful and bizarre drawings, and agree with him when he says: "there is some kind of magic in every drop or stain of ink." 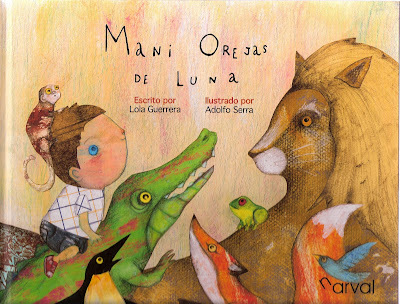 his first children´s book mani orejas de luna? with the writer lola guerrera was published in october 2010 by the great publisher narval editores. i guess it is a "must have" for all picture book enthusiasts. 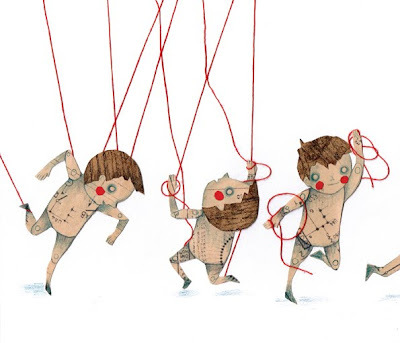 (c) la infancia, ¿derecho o privilegio?